The area around Lake Maggiore offers a real Italian cycling holiday destination from April to October. Once a popular resort for European nobility, Lake Maggiore is today a peaceful spot with a smattering of sights, along with walking and cycling routes. Stresa and Pallanza look out onto the Golfo Borromeo, home to the beautiful Isole Borromee. Isola Bella is the highlight, with a Baroque palazzo and terraced gardens commanding impressive views. The northern part of the lake is more sedate, with lakeside villages such as Cannero and Cannobio or small cities as Luino, Locarno and Ascona. Lake Maggiore has plenty for cycling routes to enjoy during your holiday. There are several opportunities for road cycling around Lake Maggiore. And with the lake road typically wider than around Lake Como, and quieter than Lake Garda. Learn more about cycling routes close to Lake Maggiore . They are very popular with the local cyclists as well. Take a look at the bike map of Northern Lake Maggiore along the valleys around Locarno and Ascona in Switzerland. You will tackle flat, rolling, up and down stretches during your holiday. If you are a recreational cyclist who love relaxed rides, we planned itineraries where you can avoid cycling any big hills and medium sized hills as well. If you have a a good degree of fitness and if you are a keen climbers looking to cycle challanging routes you could appreciate the stunning views over Lake Maggiore. Cycling along the lakeside villages on the shores of the upper part of Lake Maggiore is a classic ride that will give any cyclist a great sense of accomplishment. The ride around the lake is 90km long and is relatively flat. There are a few undulating sections and a few short tunnels on the Eastern shore of the lake. You can read in the bottom more info about lakeside villages on the shores of the upper part of Lake Maggiore. Start from Luino (on the Eastern shore of the lake) and head towards Laveno riding along Germignaga and Porto Valtravaglia. Laveno is the tourism capital of the Eastern shore of Lake Maggiore. Its harbour is quite important and has a ferry service connecting this little town with Intra on the Western shore of the lake. Cross Lake Maggiore by car-ferry (a 20 min ride). Intra is the most populated town in the Verbania area. Continue in the direction of Ascona via Cannero Riviera, Cannobio and Brissago. A bit before the tunnel, turn on the left and climb down to Ascona. Follow the cycle lane (brown signs with a bike) from Ascona to Locarno. Once you have reached Locarno follow the signs Gambarogno and Luino. Here's only a few cycle routes for climbers close to Lake Maggiore. Starting from Cittiglio you can climb up to Passo Cuvignone (9 km – 9% average). San Martino climb starts from Cuveglio (10,5 km – 8% average). Starting from Casalzuigno you can climb up to San Michele via Sant'Antonio (9 km. - 6,5% average). 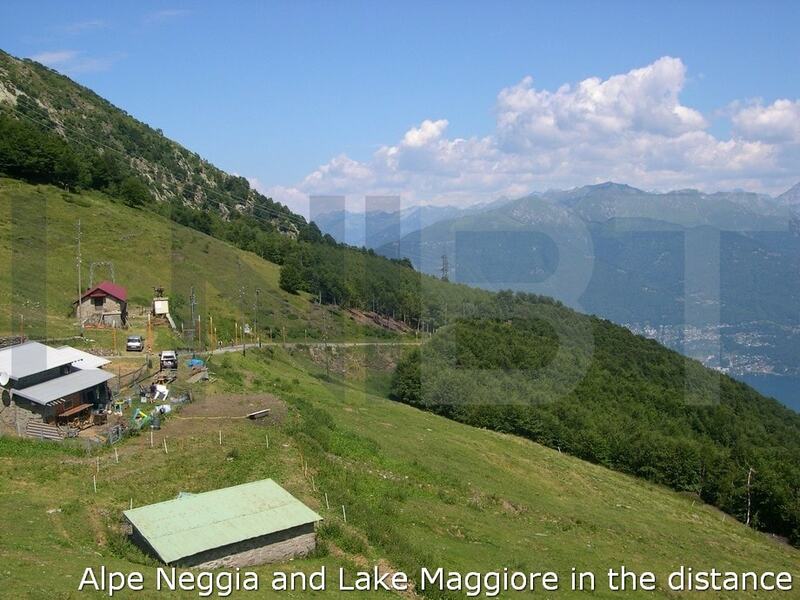 Alpe Neggia climb starts from Vira Gambarogno on the shore of Lake Maggiore (12 km. - 9,5% average), but you can climb up there from Maccagno, on the shore of Lake Maggiore, via Val Veddasca (22 km. - 5,5% average). Val Maggia, Centovalli and Val Verzasca are three nice Swiss valleys to climb up starting from the shore of Lake Maggiore. Monte Ologno climb starts from Cannero on the shore of Lake Maggiore (10,5 km. - 9% average), which was part of stage 18 of the 2015 edition of the Giro d'Italia. 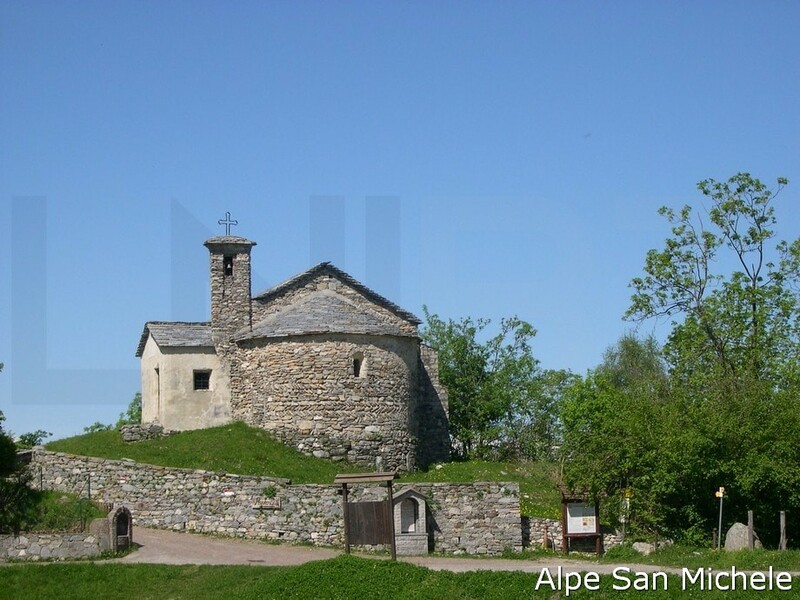 Starting from Verbania, on the shore of Lake Maggiore, you can climb up to Piancavallo via Premeno (20 km. - 5% average). Starting from Stresa, on the shore of Lake Maggiore, you can climb up to Mottarone via Gignese (20 km. - 6% average). Learn more about: Road Cycling Routes. A true round playground for cyclists from April to October. Crossing Lake Maggiore by boat is easy, so you can cover every part of the lake. We are going to update info about navigation on Lake Maggiore, so you can visit Lake Maggiore and its Borromean Islands with your own bike as well during your cycling holiday . Sometimes we will take the the boat to cross Lake Maggiore. Crossing the lake by boat is easy, so you can cover every part of the lake. This is not just to cut out stretches of cycling that would otherwise get pretty samey but also because the boat is a good way to see the Lake Maggiore. Many of the grand lakeside villas were designed to be seen from the lake. The car ferries have plenty of space for bikes, but on the smaller boats there’s a limited amount of deck space. Generally this should be fine unless you’re planning to travel in a big group. The Lake Maggiore has a surface area of about 213 square kilometres (82 square mi), a maximum length of 66 km. (41 mi.) (on a straight line) and, at its widest, is 12 km. (7 mi.). Max depth 370 m. (1,214 feet). Average depth 175 m. (574 feet). Lake circumference 170 km. (105 mi.). Lake Maggiore extends from the Italian-speaking part of Switzerland far into the Italian regions of Piedmont and Lombardy. Thanks to its mild climate, there is lush, Mediterranean vegetation along its shores. In the hinterland is a wild and mountain landscape with breathtaking views. Vegetation is divided into altimetrical zones with Mediterranean,sub-alpine and alpine essences. Camellias, azaleas and oleanders grow along the shores, as well as cypresses and cluster pines. Vines,olive trees, oaks, hazel trees, chestnuts, hawthorns, cherry trees, lime trees, pine trees, red firs,ash trees and chestnuts grow on the sunny slopes (500-800 m). While beeches, larches, walnuts trees and firs can be found in the mountains. The most elevated level is characterized by junipers, rhododendrons, beeches, birches, blueberries and alders. The underbrush is rich in ferns, sorrel and strawberries. Bears and wolves used to live in this area, while today it's possible to meet foxes, boars, squirrels, hares, beech-martens, badgers and dormice. Fallow deers and roe deers can be spotted between 300 and 1600 metres of altitude. Lake Maggiore is famous for its balmy temperatures and the Mediterranean sun. Despite the fact that it’s very close to the mountains, its climate is mild and constant, due to its large mass of water that acts as a thermal reserve. With these conditions, winters are milder and summers are cooler than in the regions at the same altitude and latitude. Even the cloudiness is reduced: in fact there are more than 200 days of sunshine a year. The climate of Lake Como is perfect for sports but also for those people who need to relax. From May until September the temperature will not usually go below the 25°C = (77 F ) making exploring the whole area by bike and cruising on the lake a very comfortable pleasure. The large mass of water of Lake Como, acting as a thermal reserve, absorbs the sun’s heat during the summer and releases it only during the winter. The high mountains surrounding the lake act as insulation to help this process, which helps to keep the average annual temperature higher than elsewhere. Locarno is located on the northern shore of Lago Maggiore. Southern plants such as palm trees or lemon trees flourish in Locarno and give the city its special charm. The heart of the city is the Piazza Grande, well-known for its annual film festival. Due to its beautiful location on the shores of Lake Maggiore, surrounded by lush green mountains and spectacular valleys, it is a prominent tourist destination, especially between March and October. Locarno is appreciated for its mild microclimate, which gives it more sunny days and warmer temperatures than most of Switzerland, it lays in proximity to valleys known as the Valleys of Locarno. The most well-known are the Centovalli, the Maggia and the Verzasca valleys. Ascona is located on the northern shore of Lago Maggiore. It's an ancient village, rich with memories of its medieval and Renaissance history. Ascona is famous for its Old Town and a lake promenade which is dotted with street cafés.The historic centre's pedestrian alleys are swarmed with boutiques, restaurants, art galleries and antique stores. The lakeside promenade recalls a fishermen's village of the past. The lakeside promenade and the narrow streets offer many temptations: fashion boutiques, shops selling luxury international brands or created by the hands of a skilled craftsman, galleries displaying small treasures, souvenir shops, spirits and fine wines. Brissago is Swiss village on the Italian frontier. In the narrow lanes leading down to the lake you will find some picturesque spots to admire: gardens where lemons, oranges and cedars grow in the open air, as well as beautiful mansions. Brissago is famous for its two islands. The Brissago Islands are the two peaks of a hill that was engraved by the erosion of the ancient ridgeline of the Ticino’s valley and the Maggia river. They can be easily accessible by boat. Thanks to their location, the Brissago Islands benefit from a particularly mild climate that has facilitated the growth of unique vegetation. Over 1,600 species of plants from the Mediterranean region, Asia, Africa, the Americas and Oceania populate the park. Cannobio is the first village encountered over the Swiss border when travelling from Brissago. The village was founded by the Romans during i the 2nd–3rd century CE. Cannobio’s lakefront is one of the finest promenades on Lake Maggiore. The colourful buildings adorning the lakefront, with their picturesque porticoes, boutiques and bars, date from the 18th and 19th centuries. The presence of a community here is documented as far back as 980 CE. Because the main lake road runs outside the village, it is a quiet place especially beautiful is the promenade. From the beautifully laid out lakefront promenade the view is enchanting over the lake, the islands of the Castles of Cannero, and the town of Luino on the nearby the Eastern shore.The Castles of Cannero are all that remains of the fortress built on three rocky islets located off the shoreline of Cannero Riviera. According to legend the Castles of Cannero were scene of horrible crimes and home to atrocious killings in the 14th-century. In the 19th-century the castles were abandoned, and today they are part of the Municipality of Cannero Riviera. Intra is the most populated town in the Verbania area. It 's a health resort but also a modern industrial town. Intra is a pleasant town to stroll around, with its cafés and its wealth of little shops. A walk along the lakefront will show you the old harbour. Ferries depart from here connecting the Western and Eastern shores by reaching Laveno. Laveno is the tourism capital of the Eastern shore of Lake Maggiore. Its harbour is quite important and has a ferry service connecting this little town with Intra on the Western shore of Lake Maggiore. Laveno offers tourists a remarkable lakeside promenade with porticoed buildings and pedestrian precincts. Mount Sasso del Ferro rises above the town. 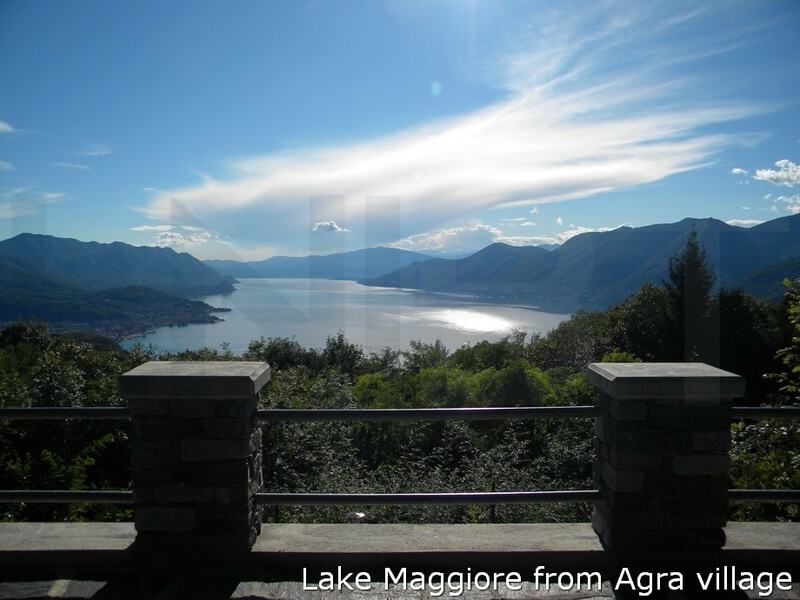 It can be reached by cable car and is one of the most popular scenic viewpoints on Lake Maggiore. Luino is a small town near the border with Switzerland on the Eastern shore of Lake Maggiore. Luino is well known for its weekly market, currently held on Wednesdays, which is purportedly the largest of its kind in Europe. The market of Luino has been frequented since the 15th-century. Here you can find foods of all kinds can be found there, including cheeses from this region and the whole of Italy, cold cuts and meats of all types, and fresh fish from the lake. A wide range of different breads are available, with a good selection of specialities such as salted bread and focaccias. Vegetables, fruit and flowers are also always available in abundance. The market of Luino offers all kinds of leather goods, including leather bags of different sizes, belts and jackets. There are also stalls selling clothes to suit all tastes, including socks, tights, chic underwear and hats, as well as sewing accessories, buttons in all shapes and sizes, fabrics and yarn. To help you make the most of your stay on Lake Maggiore we have put together a guide, packed full of information about all the tourist attractions to see during your cycling holiday.